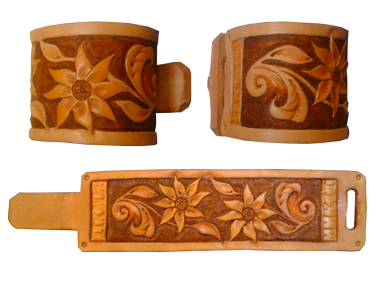 Leather can be carved to recieve dents and ridges, that create a picture or pattern. 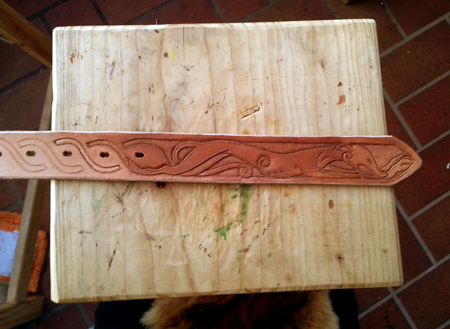 However, not every kind leather can be carved. This technique can only be used on herbal tanned raw hides. To shape the leather it's useful to moisten it first. When it's almost dry again, then it is ready to be carved. 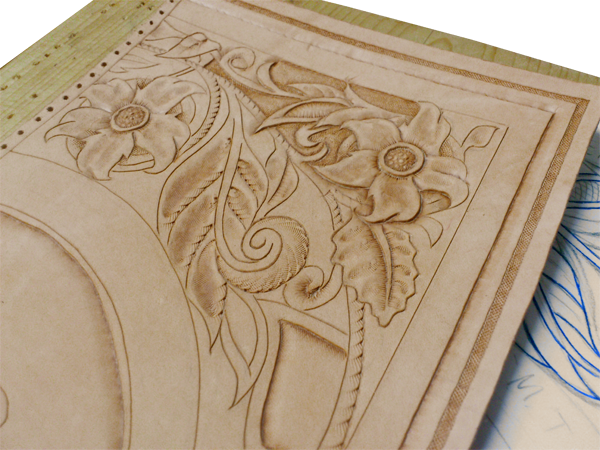 Free designs, for which no previously customized beveler is available, need to be sketched directly onto the leather or traced through a pattern. After that every line needs to be cut with a special knife, called the swivel knife. This step requires a lot of precision, for the cuts should be not too deep, but accurate and precise. Patience and practice are key to this procedure. 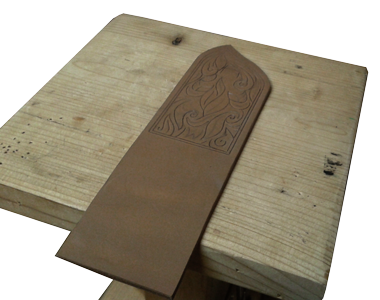 Especially these free designs require a lot of time, since the pattern has to be designed, traced onto the leather, carved and be embossed with utensils called bevelers and hammers. 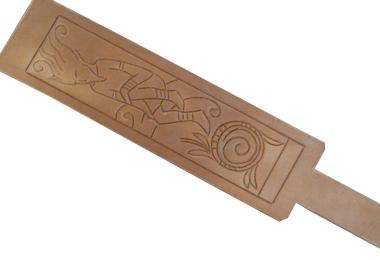 What follows is the shaping and detailing of the carving with other various tools. 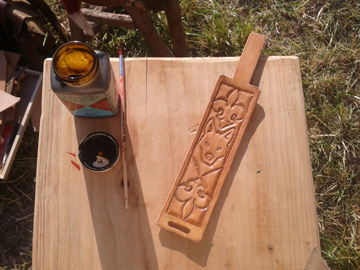 I often paint or dye the finished carvings with leather colors, treat them with finish to bring out the carving and seal them against effects of time, weather and usage. Only after that are the pieces sown-, or braided together. Lastly, I smoothen and round the edges, which will also be sealed after that.